As the WSJ details, as part of any deal, China will pledge to “help level the playing field”, including speeding up the timetable for removing foreign-ownership limitations on car ventures and reducing tariffs on imported vehicles to below the current auto tariff of 15%. 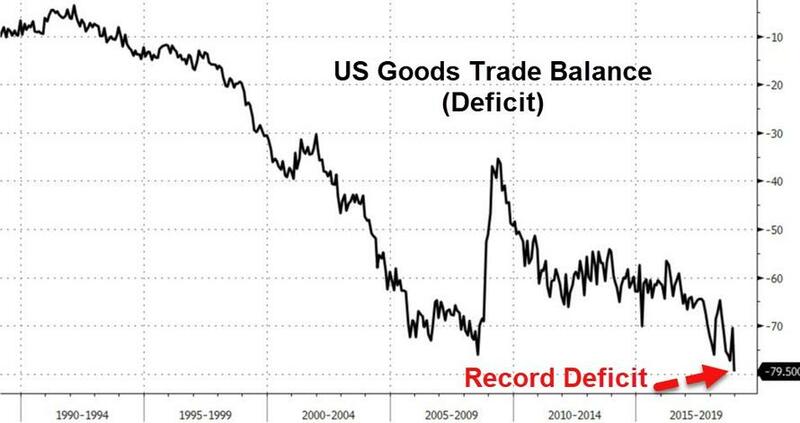 Whether this will help Trump achieve his goal of trimming the US trade deficit is unclear, however what has become clear in recent months is that the trade war with China has only exacerbated the US trade balance which as we reported last Wednesday unexpectedly hit a record $79.5 billion as exports fell 2.8% and imports rose 2.4% in the last month of the year, resulting in the widest goods trade deficit in US history. One place where the current proposal may fall apart is that the US is pressing Beijing to agree not to retaliate in some cases if the U.S. levies sanctions: agreeing to this “ask” would be seen a a major concession for Beijing negotiators, who say they want to make sure the deal doesn’t turn out to be an unequal treaty for China of the sort imposed by Western powers in the 19th century. As such it is unlikely that Beijing will agree, especially in light of the Chinese stock market’s recent surge higher, which is seen by Beijing as validation that negotiating leverage is rapidly shifting in its favor. Even so, WSJ sources warn sthat China hawks in the U.S. are concerned that enforcement measures may not be strong enough and will tie down the U.S. in endless talks. “The whole process is a fraud,” said Derek Scissors, a China expert at the American Enterprise Institute, who argues the U.S. could better enforce its will by taking unilateral actions rather than getting hooked into consultations. Even Trump’s former chief strategist Steve Bannon is said to be urging his former boss to increase tariffs to pressure China to agree to tougher terms even if that meant lengthier negotiations and market uncertainty. As yes, but that appears to be too long for Trump who wants stocks to rise to new highs, even as he claims he achieved “victory” in negotiations with Beijing, which likely explains the carefully leaked and crafted WSJ article, which at least superficially appears to give Trump the upper hand should a deal be reached shortly, even if the core issues in the ongoing civilizational race between the US and China remain unaddressed. Besides stocks, a key wildcard that remains unaddressed is whether conservative U.S. media, which has Mr. Trump’s ear, will pick up the criticism: should Trump face another strong barrage of complaints from his core base, he may well have no choice but to scuttle all attempts for fast-tracking a deal. As we discussed last week, Trump’s “failure to get a deal in Vietnam increases the pressure on him to get a deal with the Chinese,” said Fred Bergsten, founder of the Institute for International Economics in Washington. It’s not just Trump who is desperate for grassroots, domestic support and not being seen as conceding too much to Xi: Chinese Vice Premier Liu He, the lead negotiator for Beijing, has been holding meetings with various ministries and agencies to build consensus within a bureaucracy that is anything but monolithic. Lighthizer, meanwhile, plans to go to Michigan this week to talk to the United Auto Workers. He told Congress last week that he has tried to incorporate specific requests from labor, business, farmers and lawmakers in a deal. The rest of the analysis is simple as it has been beating to death over the past two months: any deal will be welcomed by markets, which have risen on the rumor that chances of an end to the trade battle were increasing, and will likely rise on the news as well, if only initially. But given the administration’s heated rhetoric on China—Lighthizer last week said he considered Beijing an existential challenge to the U.S.—the provisions are already being criticized as inadequate, especially measures to remake Chinese industrial policies. In a move that would bolster administration’s claims of the benefits of a deal, China’s state-owned energy giant, China Petroleum & Chemical Corp., also known as Sinopec, would agree to buy $18 billion of liquefied natural gas from Cheniere,people familiar with the transaction said. However, the details are especially underwhelming when considering that Cheniere would start delivering LNG to the Chinese counterpart starting in 2023, or in about four years. Additionally, not US but Chinese banks could provide financing as part of the deal in the range of $3 billion to build additional facilities to meet the demand. The deal is still under negotiation and isn’t completed. Since China recently hit U.S. LNG imports with 15% tariffs as part of the trade war, Beijing has been buying the product mainly from Qatar, Australia and Malaysia. Other purchases, predictably, include soybeans and other agricultural goods – predictably, because this has been repeatedly leaked in recent weeks. 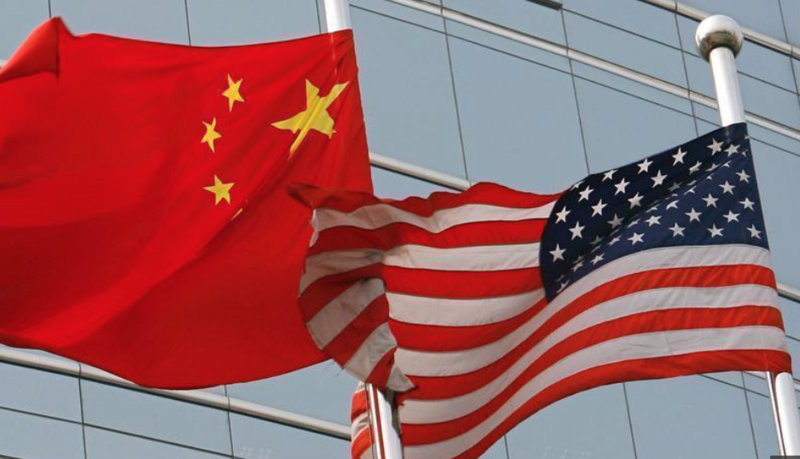 Beijing has also discussed reducing tariffs and other barriers that have limited the sale of American-made chemicals and agricultural products, such as ethanol, which now face 70% Chinese retaliatory tariffs; an ethanol byproduct, dried distillers grains, which is used to feed cattle; and polysilicon, a raw material in solar panels that was hit with 57% tariffs as part of an earlier trade fight with China. Setting the stage for the WSJ article, after the close on Friday, Trump tweeted that he asked Beijing “to immediately remove all Tariffs on our agricultural products (including beef, pork, etc. )” in part, because he last week scrapped plans to raise tariffs on $200 billion of Chinese goods to 25% from 10% on March 2 as scheduled. As a result, any Chinese concession by scrapping some agri tariffs will be immediately pitched by Trump – perhaps as soon as 5:40pm on Sunday afternoon – as a confirmation of his “victorious” negotiating style. And yet, even the WSJ admits that there has been less progress on other issues dividing the two nations – arguably the far greater sticking points – especially China’s industrial policies and subsidies. Beijing considers that support crucial to its state-led development plan and maintaining the Communist Party’s rule. On its side, the WSJ sources say that Beijing has pledged to remove “market distorting” subsidies, but some in the administration consider that insufficient because Beijing doesn’t specifically enumerate its subsidies, at the central government and local level, and specify which ones it will eliminate. So while not only major issues in the ongoing feud between the US and China will remain unresolved, and a full-blown enforcement mechanism is still TBD, the immediate impact is already being felt and while futures have yet to open, both the Australian dollar and the Chinese Yuan, barometers of “trade deal optimism”, jumped in early Asian trading: the AUD rising 0.5% to 71.15 cents, while the offshore yuan gained 0.2% to 6.7003 per dollar.